I wanted to like Chuck's Wagon more than I do. 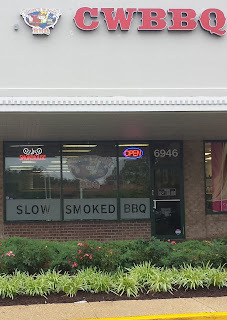 I like barbecue, I like local businesses, and goodness knows the area needs more barbecue. But my reaction every time I've been here (I think I've forgotten a couple of times to check in on Foursquare) has been "meh". It's nice enough, but not exciting to taste like I expect from barbecue. I would attribute this to being "spoiled" from living in the South for four years, and enjoying barbecue on visits there since, but...I actually kind of like some of the chains, like Famous Dave's and Red, Hot & Blue. 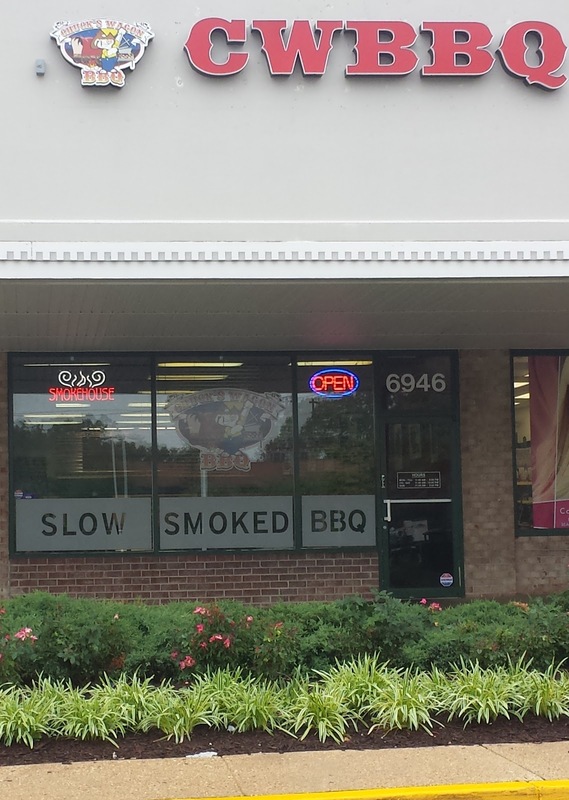 So, two cheers (and three stars) for Chuck's Wagon, for introducing non-chain BBQ to Bowie. But I won't be hitting it up too often. It's a Potbelly. I like Potbelly. 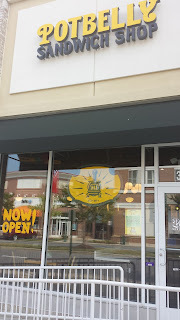 When the kids were 2 and 3, we had luck taking them to Potbelly (though not this one, which wasn't open yet). 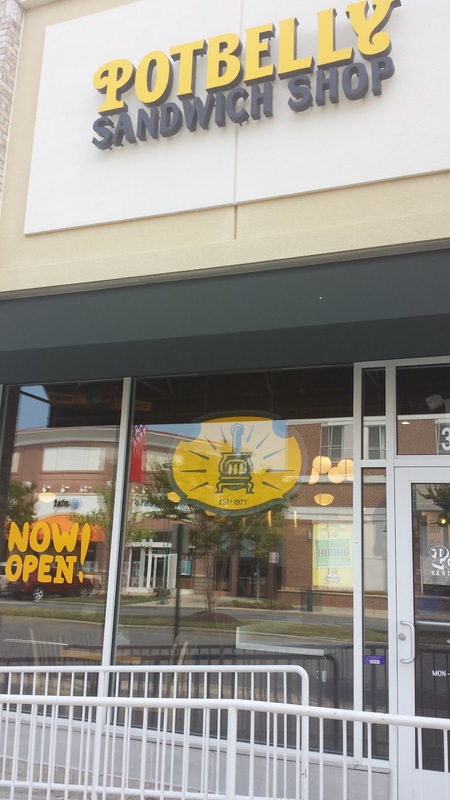 On the other hand, we have had a lot of luck taking them to Panera, and there's one of those right across the street. They don't have on-line ordering, which was annoying, but I placed a phone order, walked in and picked it up okay. It was reasonably priced, tasty, and they didn't force chips on you. That's about it. When I started this Project, your sandwich shop choices in BTC were Panera, Subway and Quizno's. Now there's Panera, Potbelly and Jimmy John's. That feels like an upgrade.